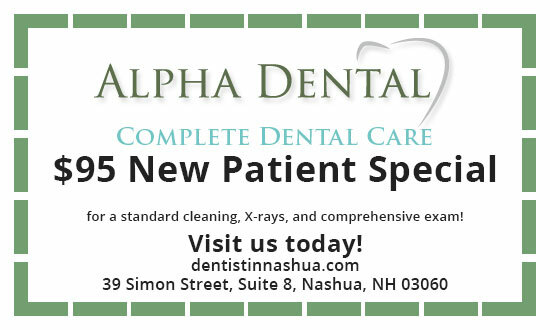 Welcome to Alpha Dental! Dr. Saeed Ahmed, your trusted dentist in Nashua, NH, is committed to providing you and your family with high-quality dental care. Since 2007, our experienced team has been bringing exceptional care as one of the best dentists in Nashua, located in a state of the art office on Simon Street. We are committed to providing high quality Family Dentistry services in Nashua as well as the surrounding areas of Litchfield, Amherst, Milford, Hollis, Merrimack, Hudson, and others. To help meet your family’s dental needs, our team here at Alpha Dental offers a wide variety of Cosmetic and Restorative dental treatments including periodontal therapy, dental implant restorations, Zoom! teeth whitening, ClearCorrect, and tooth-colored restorations. In addition, our state-of-the-art dental practice is equipped with digital X-rays and offers convenient early morning and evening appointments. 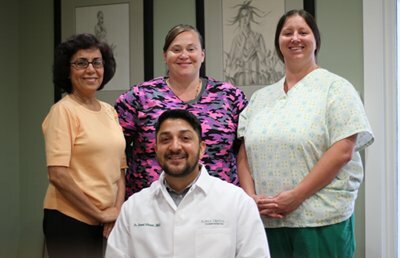 Our experienced and energetic staff are ready and eager to help you from the moment you pick up the phone until the moment you leave our office with a smile. Please feel free to look around our website and learn more about pain-free dentistry and the dental services that we offer. When you’re ready, give our office a call at 603-880-4700 to schedule your appointment with one of our dentists. We look forward to hearing from you!